My mom always was a walker. I remember in my teens she would walk the 10k Portland Mayor’s Walk that went along the last 6.2 miles of the Portland Marathon. I joined her a few years, I remember feeling so accomplished and completely enamored with the energy of the marathon. I am sure it came off more as pissy teenager slogging along in pain though. As I got older and I’d complain about my weight she’d offer to take me with her on walks, and I’d roll my eyes and go back to my room. Ugh, why would I want to exercise bleck. But without her constantly asking if I wanted to I would have never finally said yes. She asked me 3 and half years ago if I’d like to go with to personal training (she’d never been either.) I said yes. We’ve gotten to get fit and experience the accomplishments of half marathons together, she even wears the outfits I create for theme races. I leave you with a few of our fabulous race photos from the past year. I love you Mom! Thank you for being my biggest supporter in this and everything else! Fueled By Fine Wine, Dundee, Oregon, July 15, 2012. 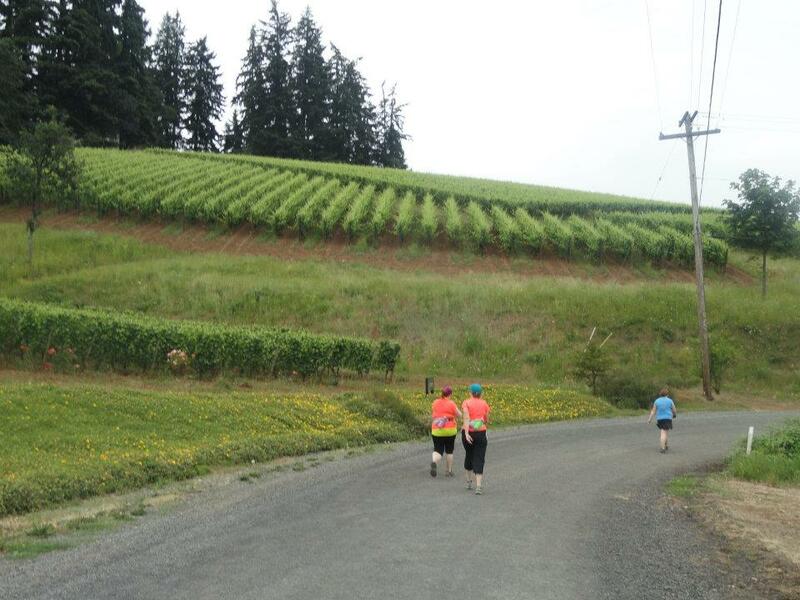 This is one of the most beautiful race courses, you wind through vineyards. Also, one of the most difficult! Can you tell we’re related? 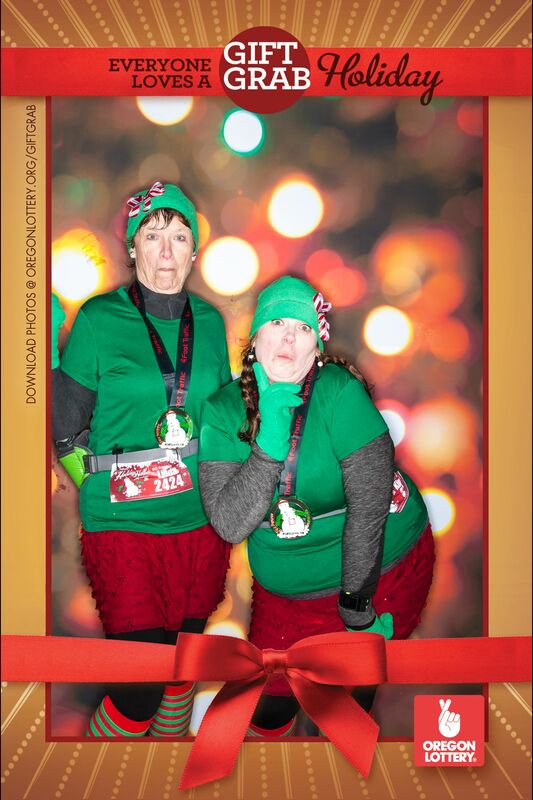 Holiday Half, Portland,Oregon, December 16, 2012. It was bitter cold, high winds, pelted with rain/ice. Seriously, couldn’t feel my limbs for awhile after this race. 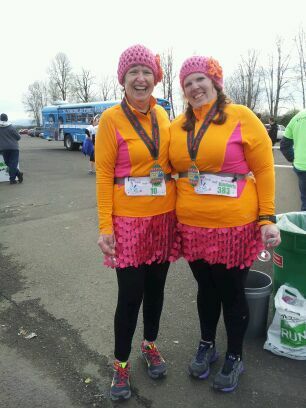 The race director came up to us after and said we had the best costumes. As woggers we may not make it back for the official costume contest, but oh we get noticed! Hop Hop Half, Portland, Oregon, March 24, 2013. An Easter themed race, that was along the lovely Marine Drive path. I literally whimpered for the last few miles my feet were on fire, really bad blisters. Mom did lil dances and tried to distract me. She also wore these fabulous outfits I created.